Traveling the Wild Coast of South Africa is probably one of the most beautiful areas you can travel in this amazing country. However, some people spread the word / noise / gossip, that it is not safe. This is simply NOT true! For me the Wild Coast is a beautiful destination in a very poor area of South Africa. If you’re expecting to sip Cafe Lattes each day then perhaps the Wild Coast is not for you. If you’re quite happy to say ‘Molo’ (= Hello to one person) and ‘Molweni’ (= hello to 2 or more people) to engage with local people are not scared to ask for directions once in a while and make sure to keep your car stocked with water, snacks and petrol, you will have the time of your life exploring the Wild Coast of South Africa. You will meet the most friendly and hospitable people, discover amazing places by the sea and most often will have the entire beach to yourself. 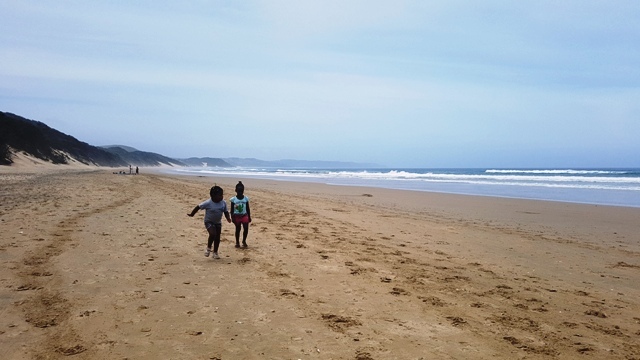 I’ve been wanting to write this article for a long time because I think it is HUGELY important that the Wild Coast (and other not-so-well-marketed-places) of South Africa get some TLC from international travellers because it simply is pristine and not to be missed. So do yourselves a favour and take the time to travel between Port St. Johns and East London which is roughly the area of the Wild Coast. DO NOT fly between Port Elizabeth and Durban because you will completely miss out on the Wild Coast. We highly recommend to travel the Wild Coast! Then last year December we went again for a more relaxed holiday and just stayed in one beautiful beach lodge on the Wild Coast in Cintsa. 1 Where is the Wild Coast, South Africa located? Where is the Wild Coast, South Africa located? The Wild Coast of South Africa is situated roughly between East London in the south and Port St Johns up north. East London has an airport which is fantastic if you want to fly in from Durban, Johannesburg or Cape Town (as we once did). The main high way that travels through the Wild Coast is the N2. To get to the most beautiful places on the Wild Coast you will always need to travel away from the N2, often onto gravel roads, to get to your paradise, the hidden gems that you’re looking for. To drive from East London to Port St. Johns on the N2 is about 325 km in total. A bit further down in this article we will share an INCREDIBLE map of directions of how to get to Bulungula Lodge. The map is brilliant. I LOVE maps and can stare at them for hours on end. The following places are the places that we love on the Wild Coast. We have stayed in most of them, some on numerous occasions or sometimes I have send clients there and I got great feedback from them. So in case you’re planning your own Wild Coast, trip you can use these as a reference. I like special places and I’m not so much concerned about what star grading accommodation has. I think an itinerary should be a good mix of unique places where you can experience the destination in an authentic and responsible way because of course we promote responsible tourism in South Africa. Although Hogsback is not part of the Wild Coast it is not too far and I highly recommend that you try to visit this area. Hogsback itself is obviously quite well known and it is a beautiful village. 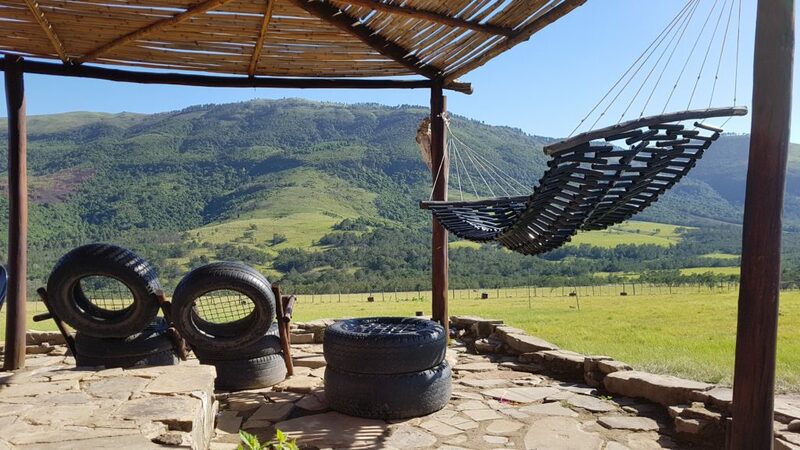 However, IF you REALLY want to go off the beaten track and experience one of the most authentic places I’ve ever been to, then I suggest you book a few nights at Elundini Community Lodge, about 20 km outside of Hogsback in the middle of the rural areas. You will get to experience true village life in a responsible way and enjoy the relaxed and friendly hospitality from Elliot and his Belgian wife Lieve. We have been back already 3 times. You can join a bread baking experience, go for beautiful hikes to waterfalls and just take a stroll through the village. We also took a Xhosa language class with the girls which is highly recommended. Check out the pictures below. Cintsa is situated about 45km from East London Airport so this is a good first stop for your start of exploring the Wild Coast. Cintsa is really a sleepy seaside town with a few accommodation options. We stayed both in Buccaneers Backpackers on one trip and on the next trip we decided to upgrade a bit and stayed on the other side of the lagoon at Crawfords Beach Lodge. We visited and stayed at Buccaneers Backpackers on our first Wild Coast trip with another mother and her child. The kids are best friends and I think they could JUST walk and were still very small. We always call it the banana road trip because the kids were BESOTTED with bananas which was the ‘padkos’ of choice on that Wild Coast Road trip. 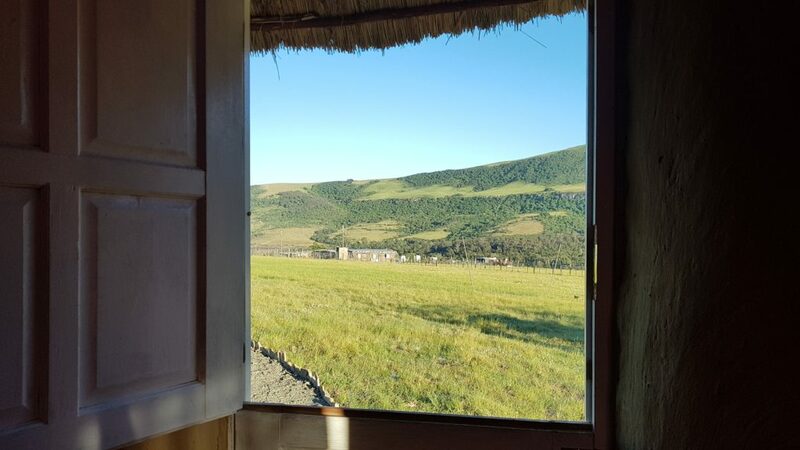 Bucaneers offers a variety of accommodation, from camping to dorm room to ensuite self-catering cottages. At Buccaneers we rented a self catering cottage, with an AWESOME VIEW, which was supposed to be kids friendly. However, at that time I didn’t know what questions to ask yet to find out what kids friendly exactly is. In case you’re wondering what questions to ask before booking child friendly accommodation, CLICK HERE, learn from my mistakes and ignorance. Serving dinner at 7h30 and breakfast from 8am will not work with small children. We were looking forward to have the meals at the lodge but had to cook ourselves. It was our first big trip with the little ones and I would recommend Buccaneers with older children who can already run and walk as the resort is build against a hill and you need to walk up and down all the time. We had to carry our little ones so it was sometimes a bit tough. The beautiful beach of Cintsa is in walking distance and it is perfect for families because there’s a lagoon that is very shallow. It was great to enjoy the beach.